This is one of my kids' favourite nursery rhymes and it talks about the story of the famous gigantic turnip. For those who don't know, The Enormous Turnip is a children's fairy tale of Russian or Slavic origin, written by Aleksey Nikolayevich Tolstoy. 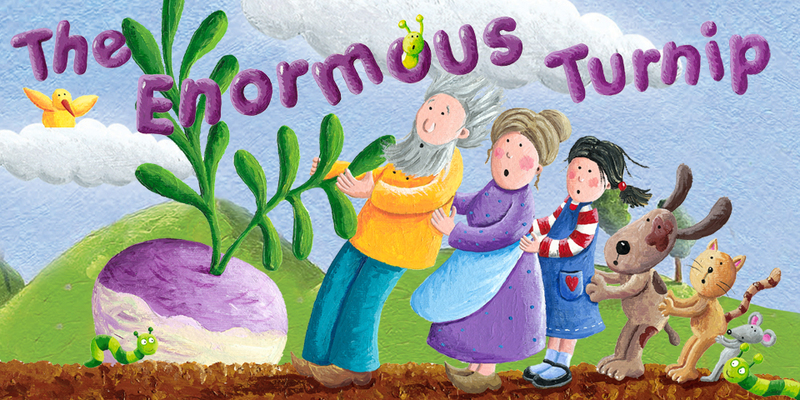 In the story, a grandfather plants a turnip which grows so huge that he cannot pull it up himself. He asks the grandmother for help but together, they still cannot pull it up. One after another, more people and animals are asked to help and when the little mouse joins in, they finally pull up the turnip. Yes, I think all of us have heard of this story, right? It teaches us that as long as we work together, we can do anything and we should never underestimate the contribution of anyone in the team, no matter how small. Besides singing this nursery rhyme over and over again and pulling up make-believe turnips, we are thrilled that we will be watching The Enormous Turnip live on stage in November on my big girl's birthday! The show makes a comeback this November, an improved and reinvented version of I Theatre's sold-out production from 2013. If you loved the previous show or missed it for some reason, here's a chance to catch it again! 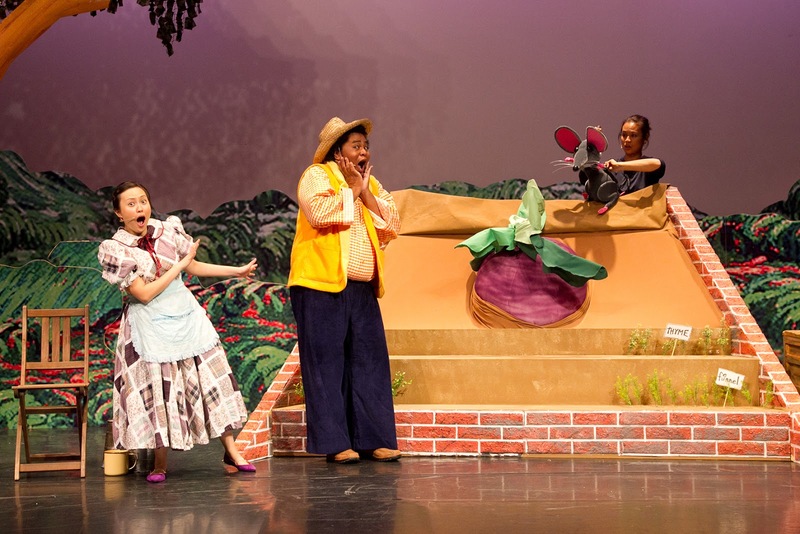 I Theatre’s unique brand of professional actors, unforgettable songs, mask, puppetry and theatre magic again brings you the story of a tiny mouse – and an enormous turnip. Little Eek the Mouse’s dream is to be noticed. But Eek is SO small. Diggory the Gardener’s dream is to win a prize – any prize for his vegetables. And then – in his garden, a turnip grows – and grows – and grows! Where does it come from? And who is strong enough to pull this Enormous Turnip out of the ground? 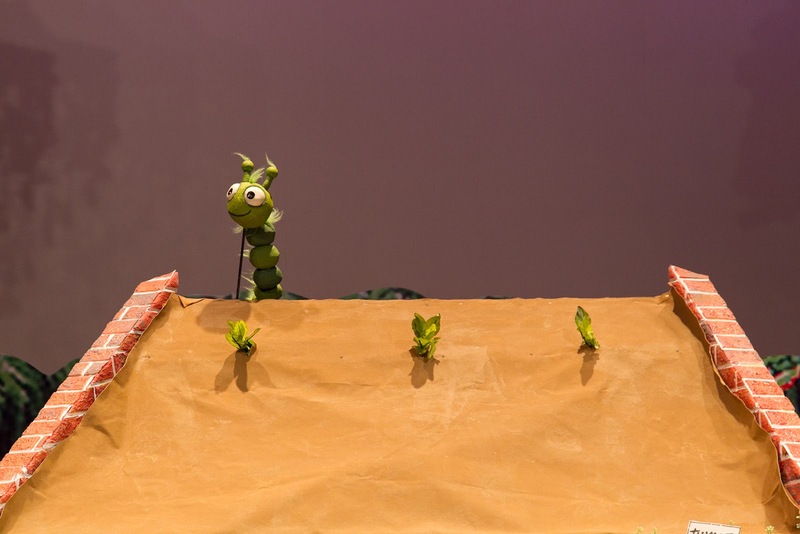 A fast paced, colourful and interactive play that is designed for the younger audience aged 3 to 12, The Enormous Turnip involves the use of puppetry, music along with cute characters and sends a clear moral message on teamwork. 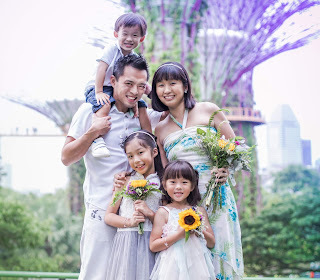 Tickets are now available through www.sistic.com.sg, SISTIC Hotline (65) 6348 5555 and all SISTIC authorised agents. 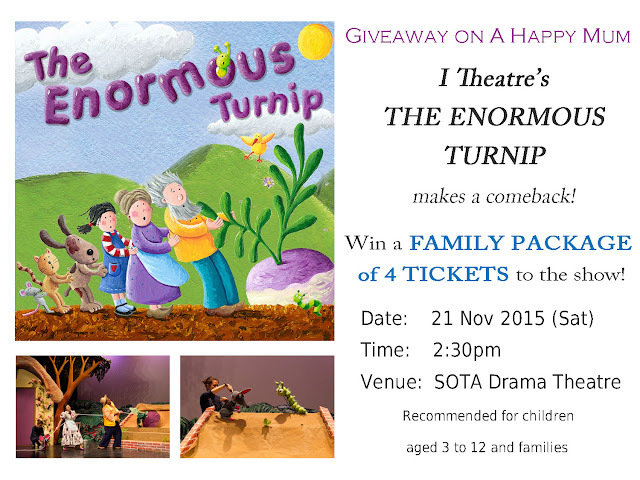 For all readers of A Happy Mum, here's a chance to win a Family Package of 4 tickets to The Enormous Turnip! This giveaway is open to all readers who can make it for the show on 21 Nov (Sat), 2:30pm! To participate, leave a comment in this blog post with your name and email address. Indicate in the Rafflecopter widget that you have commented and to increase your chances of winning, you can choose to carry out the rest of the options. Best of luck! 1) This giveaway ends at 2359hrs on 15 Oct 2015. We love this story very much. We always acting and read the story together. Thanks for the giveaway! Ah I have happy memories of acting this story out with my sister when we were growing up! ⭐️Thank you for the giveaway! Thank you for the wonderful giveaway.. I would love to win.I think my boy would enjoyed it! I am a new reader of your blog. Like it! Would love the tickets! My K1 boy had just learn this in school! 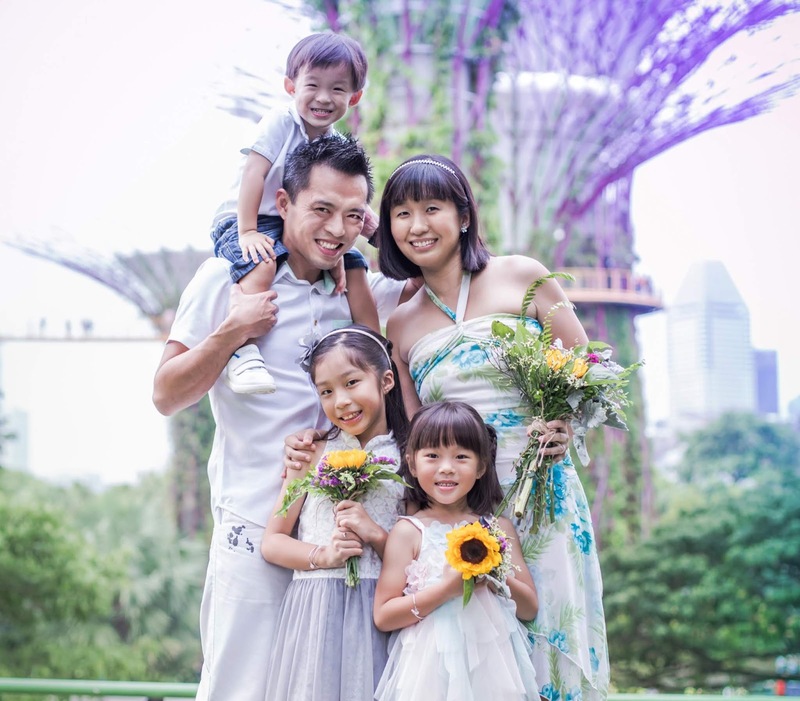 hope to win this amazing giveaway,for me and my 3kids(3/11/12 years old)day out and enjoy Drama.tks! The enormous turnip!! Hope to win this awesome giveaway.